Boston Loves Paris: Happy New Year Indeed! 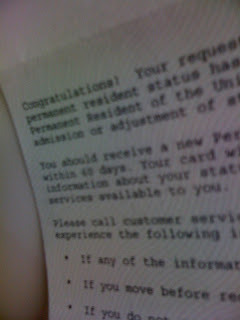 Guillaume's 10-year green card approval letter came in the mail yesterday. Happy New Year! Congratulations, Guillaume! I am so happy for you! Snow is gone, hurra ! !